From the sacred texts of Judaism: ancient and lyrical reflections on the meaning of life, faith, and humanity. 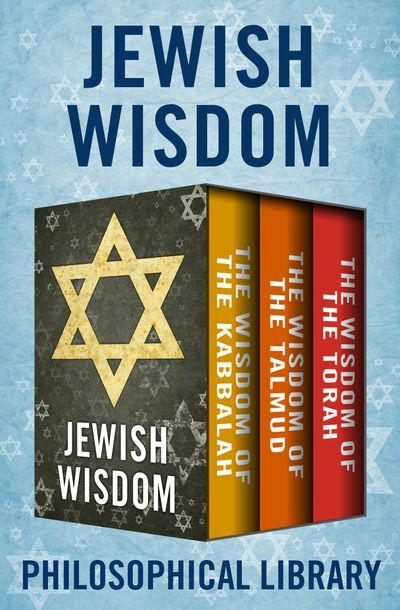 The Wisdom of the Kabbalah: Handed down in the oral tradition for thousands of years and transcribed in fourteenth-century Spain, the Kabbalah is the classical expression of Jewish mysticism. This collection draws from the main work of Kabbalah—Sepher ha-Zohar, or The Book of Splendor. The Wisdom of the Talmud: Developed in the Jewish academies of Palestine and Babylonia, the Talmud is the rabbinical commentary on the Torah. From man’s purpose and miracles, to marriage and wellness, to consciousness and community, the Talmud considers the practice of faith on a daily basis through a changing world. This approachable guide explores how interpretation of the Torah has informed Jewish life for thousands of years.